Bucket capacity = .2cu yds, heaped = .3cu yds. Bucket capacity (By Weight) = 800lbs. Width 47" - Height 71" -Length 112". Dump Height at hinge pin = 80". Loader Weight 3,200lbs. 2.5psi Ground Pressure 32HP. Lift Cap 800lbs. Our 12' 1 Axle TILT TRAILER Weighs 1,500lbs. (Has 5,000lb Capacity). 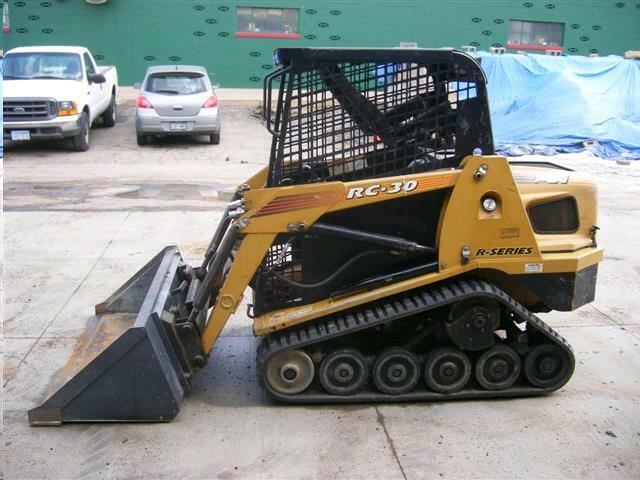 * Please call us for any questions on our rc30 track loader w/48 inch bucket rentals in Langley, also serving Clinton, Freeland, Greenbank, and Coupeville.